Riegler was a co-founder of the inaugural minus20degree event, in 2012, which was originally conceived as an excuse to play and experiment with snow. 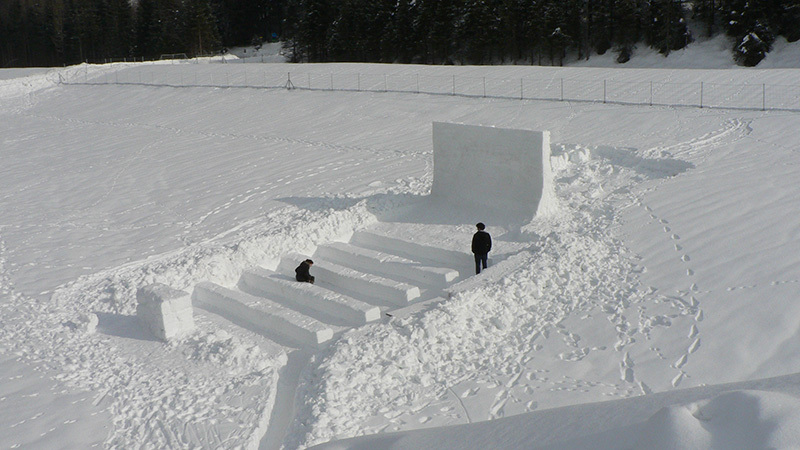 With the initial vision of projecting onto snow, a snow cinema was created. It quickly turned into a short film festival featuring a selection of works by a set of internationally acclaimed artists. The 2014 event expanded to also include a performance staged as a walk through an alpine winter forest based on Dante’s Inferno, the first part of Dante Alighieri’s epic poem Divine Comedy.